marxy's musing on technology: MacOS X Calendar knows time zones! 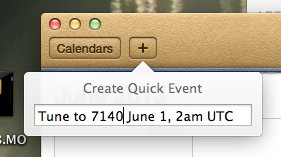 MacOS X Calendar knows time zones! I can't tell you how many times I've messed around figuring out when a keynote will be in local time. Apple software often looks simple, but is really deep.